Award Year: 2004 New developments in health insurance, designed in part to contain costs, require patients to take greater responsibility for making medical spending decisions. The mechanisms of this new "consumer-directed health care" model - health savings accounts, high-deductible catastrophic coverage, and tiered provider networks and pharmacy benefits - have broad policy implications that may challenge the doctor-patient relationship, the doctrine of informed consent, the medical malpractice standard of care, and other tenets of health care law and ethics. Co-investigators Mark A. Hall, J.D., and Carl E. Schneider, J.D. seek to better understand how law and ethics can and should respond to consumer-directed health care. Their project, The Law and Ethics of Consumer-Directed Health Care, probes a range of possible effects on medical practice and treatment relationships when cost-sharing by patients plays a greater role in medical decision-making. Carl E. Schneider is the Chauncey Stillman Professor of Ethics, Morality, and the Practice of Law and is a Professor of Internal Medicine. He was educated at Harvard College and the University of Michigan Law School, where he was editor in chief of the Michigan Law Review. He served as law clerk to Judge Carl McGowan of the U.S. Court of Appeals for the District of Columbia Circuit and to Justice Potter Stewart of the U.S. Supreme Court. He became a member of the Law School faculty in 1981 and of the Medical School faculty in 1998. Professor Schneider has written extensively in several fields, including bioethics, professional ethics, professional education, family law, and constitutional law. He recently published (with Marsha Garrison) a casebook titled The Law of Bioethics: Individual Autonomy and Social Regulation. 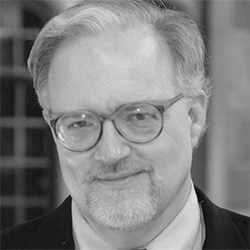 He is the author of The Practice of Autonomy: Patients, Doctors, and Medical Decisions (Oxford University Press, 1998), which examines how patients respond to the gift of autonomy bioethics offers them. He is currently writing a legal and ethical study of how the authority to make medical decisions is and should be allocated in contemporary American health care. Hall, M.A., Schneider, C.E. Professional Obligations when Patients Pay out of Pocket. Journal of Family Practice, 2009, 58(11): E1-4. Hall, M.A., Schneider, C.E. Learning from the Legal History of Billing for Medical Fees. J of General Internal Medicine, 2008, 23(8): 1257-60. Hall, M.A., Schneider, C.E. Patients as Consumers: Courts, Contracts, and the New Medical Marketplace. Michigan Law Review, 2008, 106(4): 643-89. Hall, M.A., Schneider, C.E. The Professional Ethics of Billing and Collections. JAMA, 2008, 300(15): 1806-8. Schneider, C.E. The Cash Nexus. Hastings Center Report, Jul/Aug 2007, 37(4): 11-12. Schneider, C.E. After Autonomy. Wake Forest Law Review, 2006, 41: 411-44. Schneider, C.E., Teitelbaum, L.E. Life's Golden Tree: Empirical Scholarship and American Law. Utah Law Review, 2006, 53: 106. Hall, M.A., Schneider, C., Shepherd, L. Rethinking Health Law. Wake Forest Law Review, 2006, 41: 341-5.